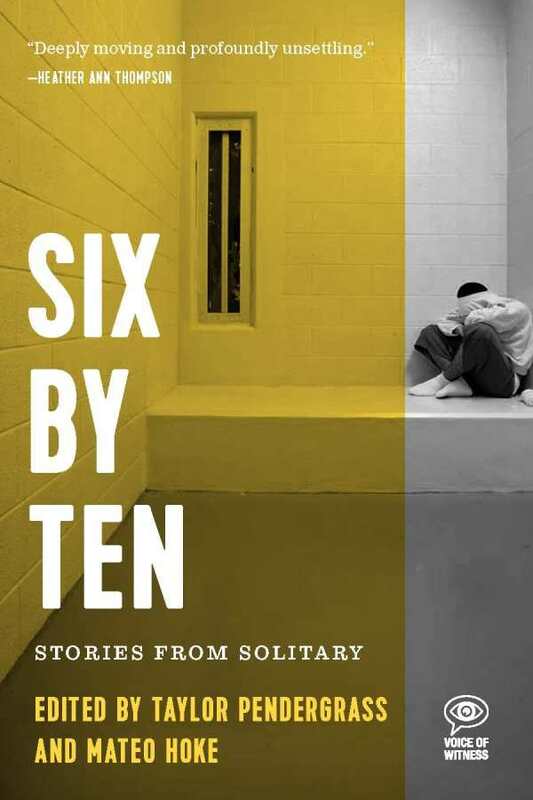 Six by Ten: Stories from Solitary, edited by Mateo Hoke and Taylor Pendergrass, compels change by giving a voice to the voiceless. Solitary confinement is one of the dirty little secretes of America’s criminal justice system; sure, people know it’s there, but few know how often it’s used or how detrimental it can be. Hoke and Pendergrass, through their experiences in journalism and law, respectively, know just how prevalent and virulent this blight is. In this book, they share the voices of those they’ve interviewed: people deeply affected by solitary confinement, including inmates, family members, and corrections officers. The book adeptly serves the mission of the Voices of Witness series: it “advances human rights by amplifying the voices of people impacted by injustice.” The interviews show without a doubt the havoc that solitary confinement causes for inmates physically, mentally, and emotionally—before, during, and after their time in solitary confinement. Certainly, the narratives don’t gloss over the complexities of crime and punishment, but they present a unified voice that cries out when enough is enough. The introductions to each interview showcase the humanity of the subject as well as subtly highlighting the lengths to which the editors went to build trust and show compassion for each person. The results of that trust are incredibly open, honest stories that shun shame and instead, in the deepest possible way, bear sober, heartfelt witness. The chapter opener portraits are stunning: beautiful and humanizing, brimming with personality, honest, and seen with compassionate eyes. Six by Ten moves Americans to action for humanity and fairness in the criminal justice system.